In-situ concrete roof ready for concrete pour of new Insulating Concrete Formwork sustainable home. 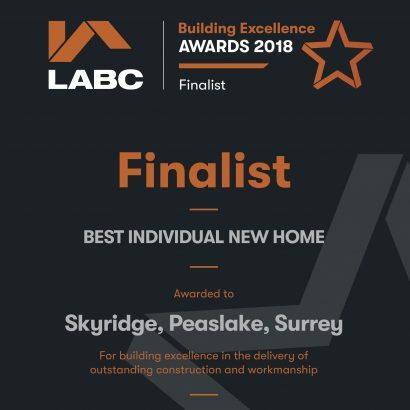 We were delighted to be Regional Finalists for our recent development, Skyridge, at the LABC Building Excellence Awards. Read more about Awards LEATHWAITE have received. 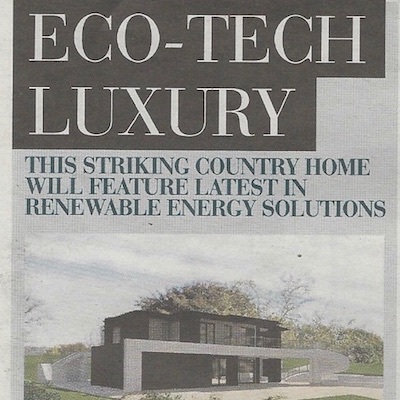 Great to see our Hunters Hill development feature in the Surrey Advertiser. More details on the Hunters Hill development here. 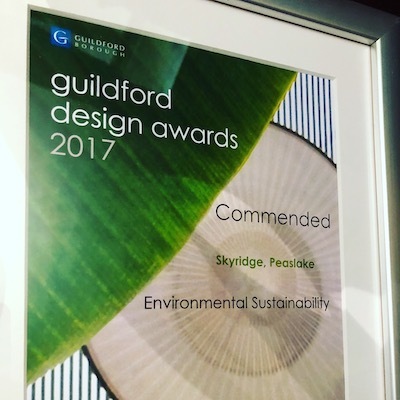 We are very proud to have received a Guildford Design Award for Skyridge, with Commendation for its Environmental Sustainability.